Momma Told Me: Not In My House! Does Kinectic Sand Make The Cut? ***We received the following products in hopes we would share our organic experiences here on the blog. Regardless all content is genuine and all photos are copyright Momma Told Me Blog 2015. Momma Told Me: Not in my house! I didn't get to play with any of the 'fun' toys, growing up. Okay, I should rephrase, I didn't get to play with any of the messy toys, growing up. Most of my younger years were spent living in a condominium, where we had a 15' x 5' slab of concrete for a porch and yard. Since 1. We did not own our home and were renters, and 2. Momma wasn't the most intuitive when it came to children and preparing for their unavoidable catastrophes, I spent the majority of my play time outdoors. If I wanted to color with crayons- outside to the porch. If I wanted to play with Silly Putty- outside to the porch. If I wanted to eat an orange- outside to the porch. There was a strict 'Not in my house' policy and even that factor was not enough to convince Momma to allow the purchase of one of my most coveted childhood toy obsessions; Nickelodeon's Gak. Kinectic Sand comes in a variety of bright colors, and even the Jewel (glitter infused) ranges, which recently hit shelves. If you've been in any major retailer recently it's pretty much guaranteed you've seen this product. Personally, I was skeptical as to jut how much fun a bag of sand in a small tray could really be, but we were both captivated by this toy from the start. 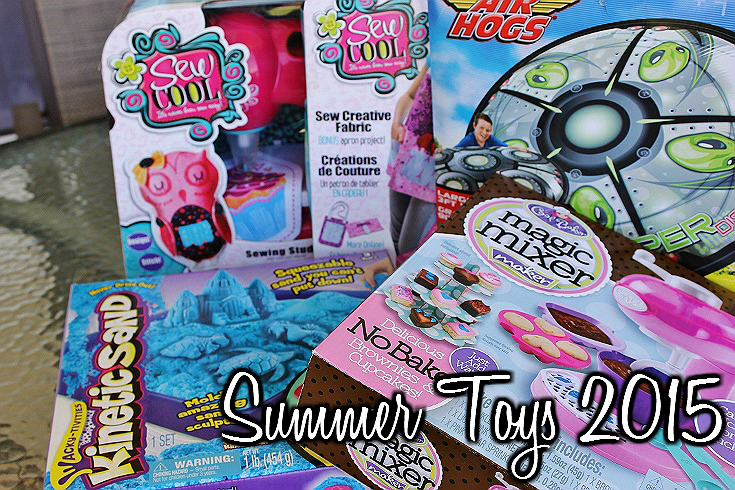 While the initial starter kit, which includes 4 molds and a play tray, as well as 1lb of sand, will set you back about $16 right now, you will want to invest in at least one other color/refill of sand to really fill the play tray. We found the molds were 'nice' but the real fun was watching the and move between fingers, along the bottom of the tray, and come alive as it expanded when forced into mountains and rivers. Kinectic Sand is an entirely dry substance and very light to work with, but extremely 'magnetic' to itself. That is to say it will not be caught blowing away or sprinkling into carpeting, as it is fairly attracted to itself. And, surprisingly, it feels dry to the touch and is not tacky or sticky to any other surface but itself. I was pleasantly surprised in the replay value of Kinectic Sand, as Sabrina pulled out animal figures and even building blogs to play in the sand and create an entire kingdom of animals. The fact that the sand allowed for an ever changing environment really seemed to capture her attention and hold it. With Summer just around the corner, whether you're a 'Not in my house!' 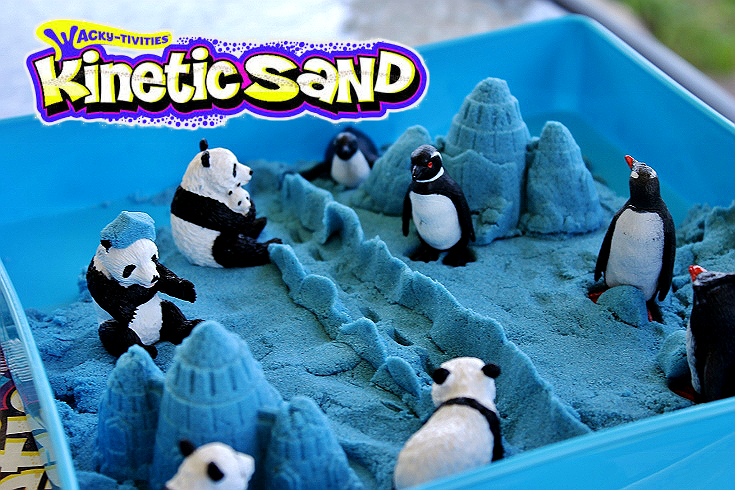 mom or not, Kinectic Sand makes for a perfect backyard play thing. 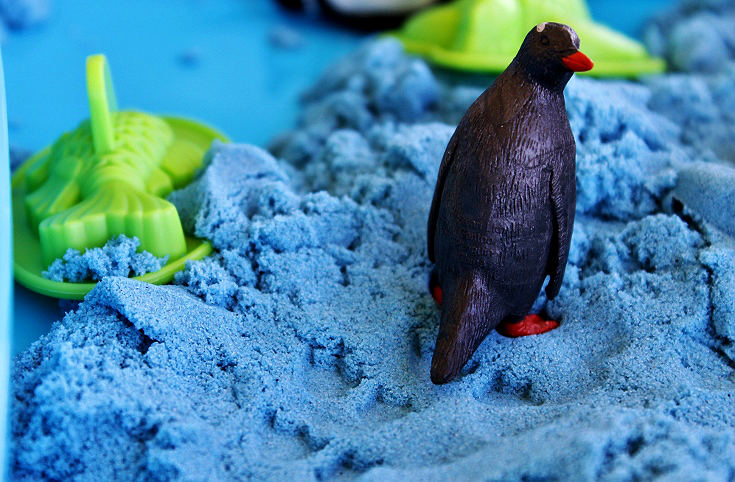 Kinectic Sand also seals up in any plastic bag and makes for a great sensory toy when being smashed and observed- perfect for younger users (age 3+). Best of all, 'cleaning up' this Summertime product is as easy as rolling the sand into a ball and smashing it into any straggling bunches of sand. My only request is that the brand starts marketing a resealable pouch or container to store the sand in, once it is opened, as it really would add a nice touch of cohesiveness to the product. 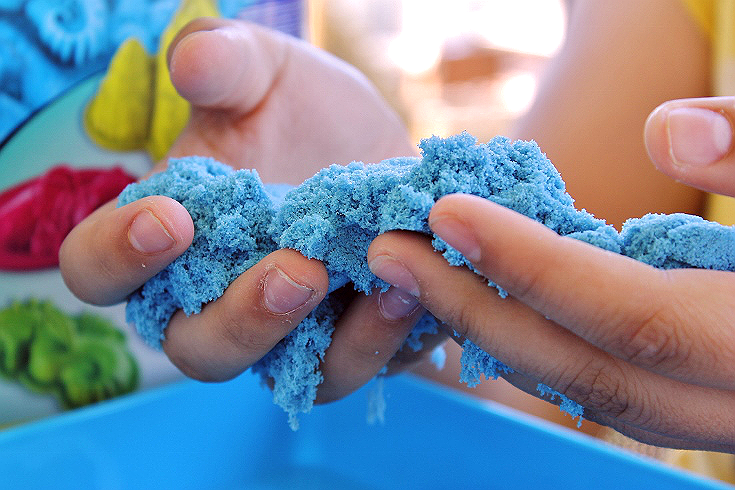 What was one of your favorite sensory toys, as a child? What Daughter Says: Kinectic Sand solves the need to explore and create without the fear of a mess. I want to play with this SO BAD! I may go buy it for myself haha and your photos are always WOW! I swear I can FEEL it in my hands just looking at it! 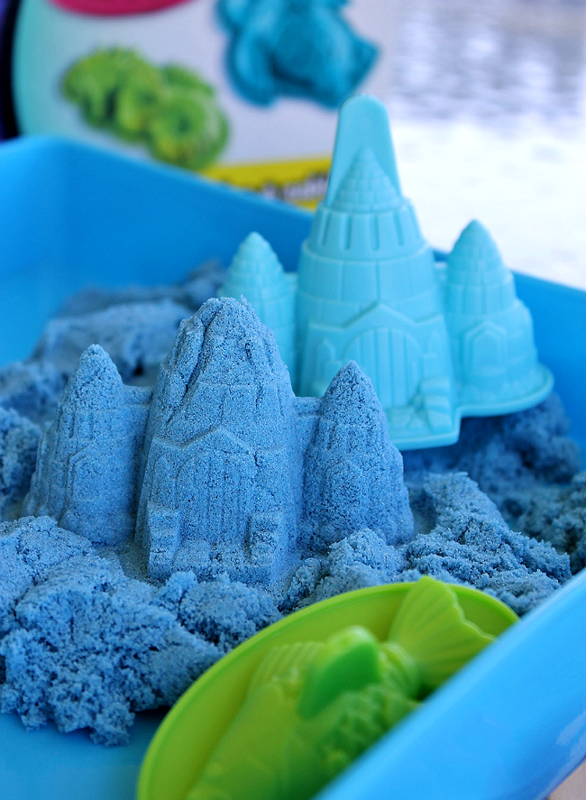 I hadn't heard of Kinetic Sand, but it looks really cool. I love that it holds its shape without water and that it doesn't blow away like ordinary sand. I kind of want to play with this myself! Totally entranced by the colors. 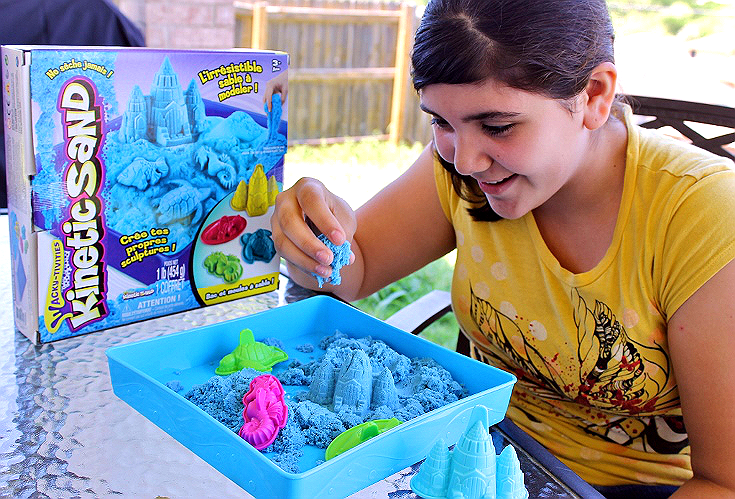 I have not heard of Kinetic sand but it sounds really cool. My nephews would probably like this. I used to love Silly Putty but will not discuss the so called ruined suit incident. There may or may not have been a time when my silly putty was left in my father's chair and he sat on it. I take no blame. It was gremlins. I have told my kids the same thing about a lot of things like this! They have been wanting Kinetic Sand but I have been stalling on trying it out. I had no idea it was this much fun and doesn't seem that messy.